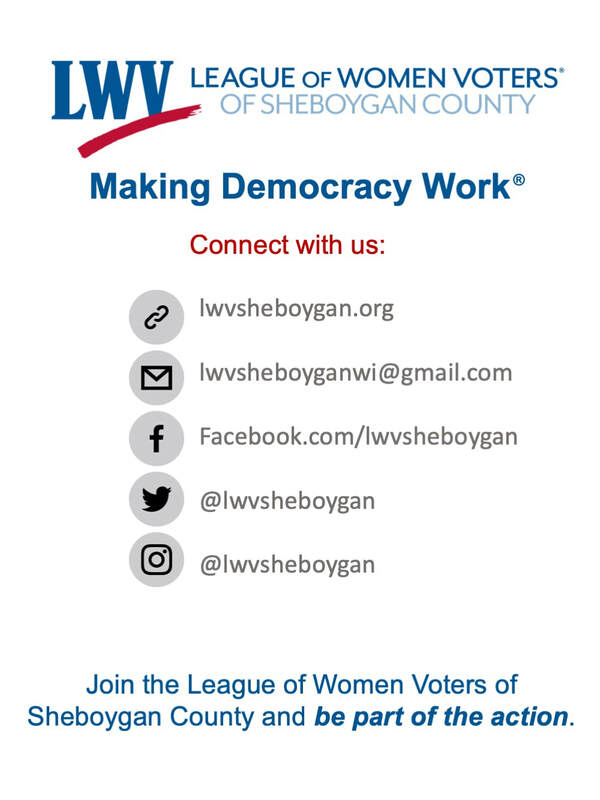 Founded in 2017, The League of Women Voters of Sheboygan County, a nonpartisan political organization, encourages the informed and active participation in government, works to increase understanding of major public policy issues, and influences public policy through education and advocacy. Download and read our Meeting Minutes here. 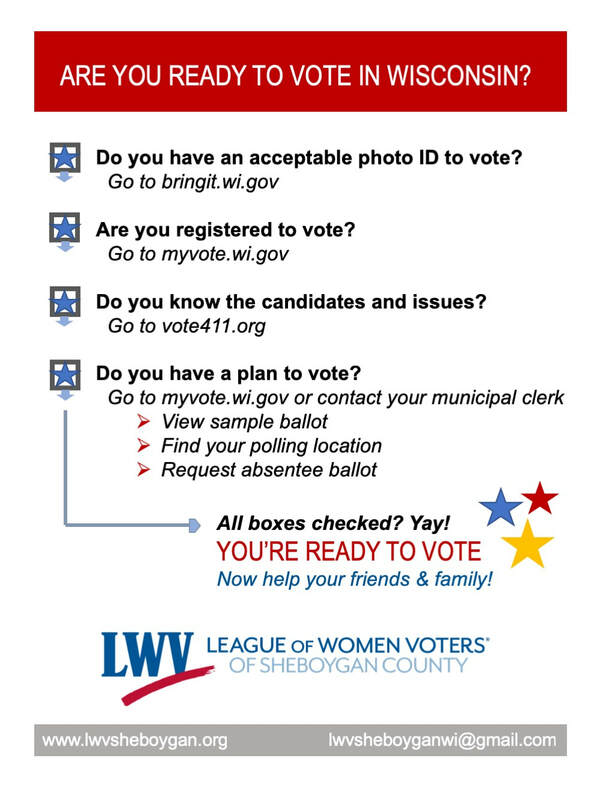 Find Press Releases and other mentions of LWV of Sheboygan County in the news here. View our bylaws here, and our non-partisanship policy here. To learn about the rich history of the League of Women Voters of the United States (LWV-US), click here. The League of Women Voters Lake Michigan Region (LWVLMR) is an Inter-League Organization made up of 63 local Leagues of Women Voters within the Lake Michigan watershed and regional planning areas, along with the four state Leagues. It is an integral part of and operates under the Natural Resources position of the League of Women Voters of the United States. The League of Women Voters of Wisconsin (LWV-WI) operates at the state level with grassroots support from 19 local Leagues. The very active league in our neighboring county of Manitowoc has been mentoring our newly formed league.